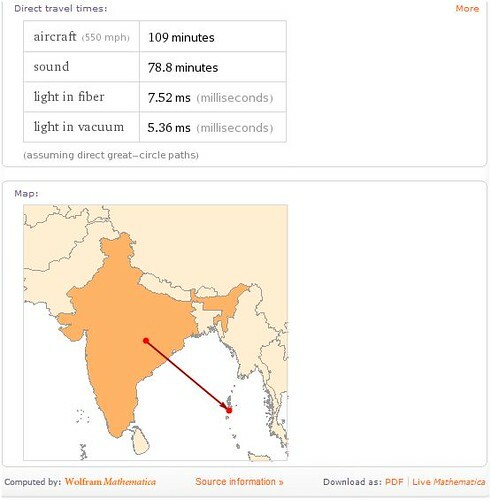 The time is taken to travel by car, ship, aircraft, light in vacuum, light in optical fiber and many more. You can ask questions on the following topics. 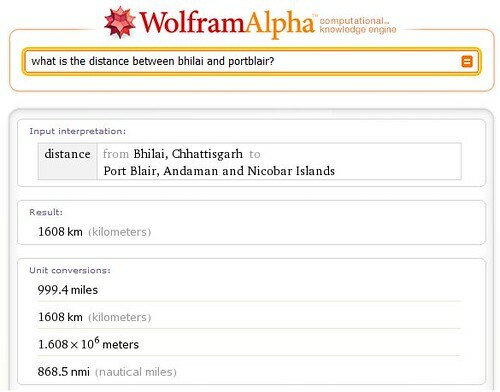 You can also signup to become a curator at wolfram alpha and help it enhance its knowledge engine.